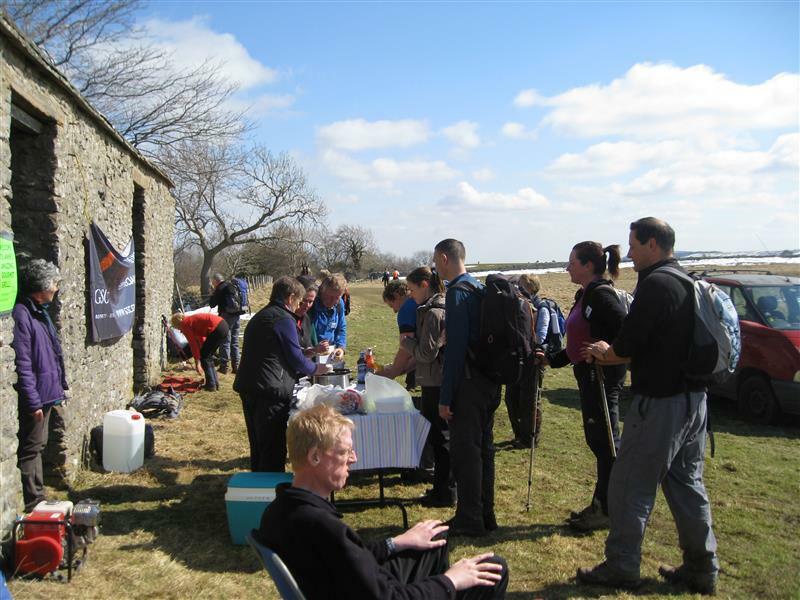 An annual 12 or 23 mile round walk in scenic Wensleydale on 8th April 2017, in aid of local Rotary charities and a principal charity, Yorkshire Air Ambulance. Very friendly and great fun. Both Walks begin at 9.00am in Grove Square, though walkers first gather for registration at Wensleydale School, where car-parking is available. The walk is limited to a maximum 8 hours, and all entries should be received prior to the event. Entries on the day subject to limitation on numbers not reached- a note will be placed on the website if such has occurred. All finishers will receive a certificate. NB- Under 18's are welcome when accompanied by an adult but On Line booking is only available for over 18 year olds. Please use the downloadable Entry Form route for anyone under 18. The principal charity for the event in 2017 is the Yorkshire Air Ambulance. Sponsorship for this or other charities is encouraged but not essential. Forms for Sponsorship can be downloaded by clicking on Sponsorship forms. 1 Observe the country code. 2 Checkpoints are to be visited in order. 3 Walkers must keep to way marked route on public rights of way. 4 Entrants can only retire at checkpoints. 7 Due to lambing time, and the nature of the route, - NO DOGS ALLOWED, except on lead. 8. Runners MUST NOT RUN CLOSE TO RACEHORSES. This is dangerous for runner, rider and horse! Please forward the entry form and SAE ( Two if results are required by post) to; Mr B Whitfield, Hillside House, Patrick Brompton, Bedale, DL8 1JN. PLEASE NOTE ALL WALK NUMBERS WILL BE SENT OUT WITH FULL DETAILS OF THE WALK WHEN AN APPLICATION IS RECEIVED. THIS WILL BE BY EMAIL UNLESS YOU SEND A SAE. ANY PEOPLE NOT ALLOCATED A PLACE WILL HAVE THEIR CHEQUE/PO RETURNED AS SOON AS POSSIBLE.